Despite their advertising, Red Bull doesn't actually give you wings. But thankfully, these places totally do (! 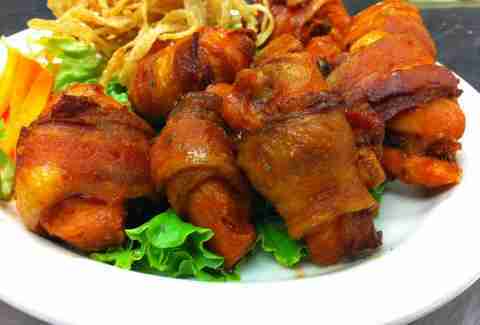 ), either slathered in spicy Buffalo sauce, stuffed with pork, or wrapped in bacon. 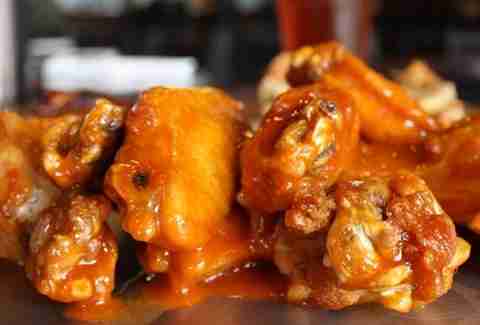 They do it so well, in fact, that we're dubbing them the eight best wing joints in Austin. Locally born dynasty Pluckers raises the bar with battered boneless appendages available in 19 sauces ranging from spicy Mandarin to... Dr Pepper (!...?). 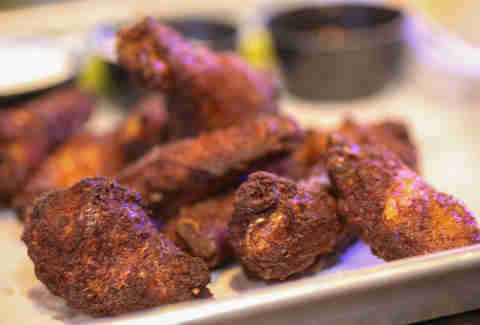 Riverside newcomer Draft Pick's Burnt Orange wings get devoured faster than Vince Young's paycheck. 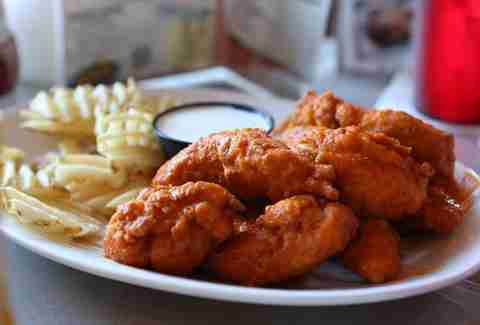 Hyde Park's champion gets the nod for super-fiery sauces like mango habanero and ghost chile. And, to put out the fire, they've got 100oz beers served in LED-lit towers. Winner for wings most likely to leave a mark, this Tommy Boy-themed trailer's secret weapon is a culinary school/badass ninja technique of cutting all but one tendon so that the meat falls right off the bone. 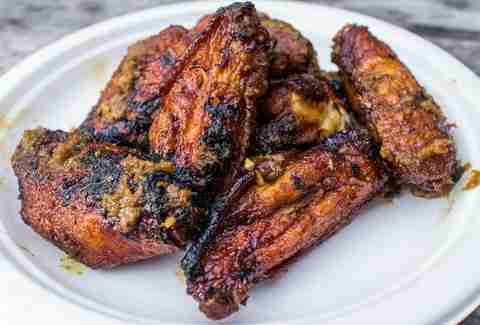 Venerable Asian fusion food trailer ESK boasts Thai-style wings glazed in Japanese BBQ sauce and green curry. 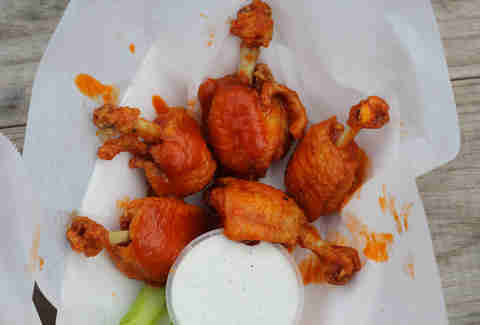 12th and Lamar's sports bar stronghold's most popular appetizer is their "Amazing White Wings" -- boneless chicken wrapped with bacon and jalapenos, then smothered in classic wing sauce and worn by a Victoria's Secret model. 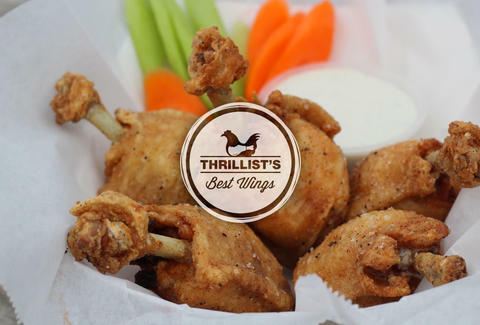 Unassuming Rosedale diner Daisies may not seem like a destination for fowl snacks, but every Friday they dish out a delish special of wings stuffed with pork and shrimp filling. Crispy on the outside! Tender on the inside! 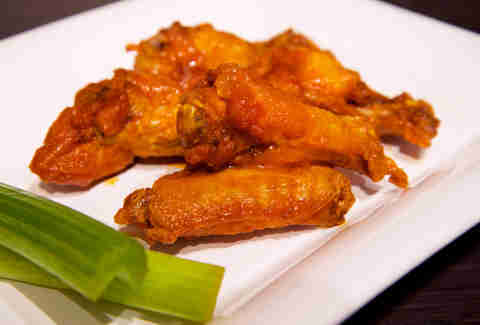 What more can one ask for from a wing?! 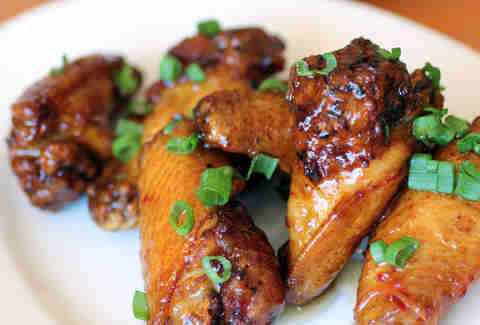 How about Bahama Jerk, or Chipotle Honey Mustard sauce? Yeah, they've got that.